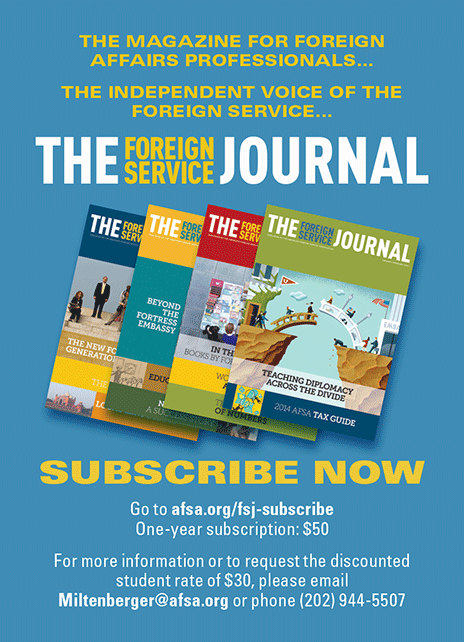 One of the great challenges of Foreign Service life is how an FS spouse can maintain or develop a career. Here are some practical tips. Of the myriad changes that moving with the Foreign Service causes, FS spouses are most often startled by having to give up their careers. Some spouses have the opportunity to telework—if you do, don’t let it go! The rest of us are catapulted into a new country, culture and, sometimes, language, unaware of how the local job market works. We may feel that the skills and certifications or licenses that we have will be worthless in our new home. Because of the incredible upheaval and transition that moving to a new country implies for us and our families, many make the decision to stay out of the workforce for a time—to raise children, to explore the new country we are living in and to give our time to other pursuits. Sometimes we don’t actually have a choice. According to a 2008 study by the Permits Foundation, only 35 percent of expat spouses across sectors (e.g., diplomatic service, private sector, nonprofit sector) are working, and three-quarters of those not working want to be working. Regardless of the reason you’ve been out of the workforce, you probably wonder, “What do I do when I want to go back?” Getting ready to go back to work can be tough on your self-confidence and overwhelming. But if you follow the steps outlined here, you will be on your way to your next job in no time. 1. Own it. You moved overseas. Maybe you wanted your children to learn a foreign language, were seeking adventure, decided to put your spouse’s career ahead of yours for a time or chose to spend time with your children. Figure out what your reason was. A lot of us feel swept up into this life, and that we have not necessarily been the one to make the decision. But you did do it, so define for yourself the reasons. It’s easy—really, really easy—to say that the reason you are overseas is because “someone made me do it” (like your spouse). But that is not a good reason to share with prospective employers. They will be offering the job to you, not your spouse or partner, so change your perspective and make a conscious decision to focus on why it has been good for you. If you are having trouble with this, write down the list of reasons you like living overseas. One of these may resonate with you as the reason you moved overseas in the first place or why you have stayed. After you have determined why you moved overseas, figure out how you are going to tell employers about it. 2. Take an inventory of your experience. What have you accomplished while you’ve been out of the workforce? Reflecting on this question is important for two reasons. First, you want to know what you have to offer potential employers. Second, realizing where you have invested your time and understanding what you have enjoyed could help you broaden your scope. Many spouses who work or volunteer in a new field overseas because they cannot work in their field end up finding something they like better. A big move is often a great opportunity to make a career change. 3. Explore. What jobs are available? How well do these jobs pay? What skills and experience are the employers seeking? If you are not satisfied with the employment options you are finding, consider expanding your search by looking for overlap between your chosen field and the unique experiences you have had while overseas. For example, if you worked in corporate accounting prior to living overseas, you could transition to accounting work for a nonprofit that provides grants to the country in which you have experience. Jobs can also be stepping stones; don’t think of your first job back in the workforce as the last job you’ll ever have, but rather as a step in the direction you’d like to go. 4. Beef up your skills. Based on your explorations (Step 3), it may be appropriate now to invest your time and money in improving skills that you already have or in learning something new. This is especially important for people who have been far removed from their field for an extended period of time. Try not to disconnect completely from your field or your network while overseas. Depending on your field and how long you’ve been out of it, you may need to learn new software programs, brush up your tech skills (social media or otherwise) or take an online class to get up-to-date on the latest methods and theories. The State Department’s Family Liaison Office offers Professional Development Fellowships that provide financial assistance to spouses and partners to maintain, enhance or develop their professional skills. After being out of work for a time, it’s completely normal for your confidence in your abilities to wane. Try volunteering to remind yourself what you are really good at. For example, if you had worked in finance, you may consider donating time weekly to a nonprofit to reintegrate into the workforce and practice your skills before it’s time to use them in a paid position. Another option is to try to take an eligible family member position at your post, if available, even if it is not in your field. This will give you the opportunity to get back into the work force, put a position on your resume and accrue government service time—which could help you eventually get another job with the U.S. government somewhere else. 5. Get your resume in order. Now that you’ve signed up for an online class or begun your own self-guided learning, you are ready to put Steps 2, 3 and 4 together to revamp your resume. Your resume should be tailored to the type of job you are trying to get. For example, if you are applying to positions in marketing, do not include experience that has no connection with marketing—such as volunteering to cook at an orphanage—under “Professional Experience.” You can include it under “Volunteer Experience” or “Additional Skills” if you have a section like that. Do not include a trumped-up name for mom or dad like “house manager” or for another major responsibility you had within your own home. If it looks bogus to you, it will look bogus to employers. I am a parent, too, and I know that that job is important, incredibly difficult and challenges you in ways you never thought imaginable (e.g., keeping cool when a 2-year-old is throwing a fit in the middle of the park about not being able to eat candy at 8 a.m., anyone?). But the fact of the matter is that parenting is not something employers want to see on a resume. Try not to disconnect completely from your field or your network while overseas. You should add a “Key Skills” or “Key Qualifications” section at the very top of your resume where you list the important traits about yourself that you would like future employers to know. Keep this section limited to job qualifications, not your personality traits. The best place to mention the reason there is a hole in your resume is in your cover letter. This way the employer knows that there is a legitimate reason you were not working for a few years. If you are having trouble figuring out how to update your resume effectively, there’s help! Luckily for us Foreign Service spouses, the State Department offers the Global Employment Initiative. Global employment advisers (based regionally) provide job coaching sessions, training workshops and career development services at no cost to family members. They support family members who want to work for the U.S. government or on the local economy and also those who want to start their own businesses. 6. Begin actively networking. Now that you’ve got your up-to-date resume in hand, it’s time to network. The ideal time to do this is about a year before you want to be back at work. You won’t sound desperate (because you have some time before you have to get a job), and you can begin to put your feelers out. Start this process by talking to people you have not connected with in a while, and put some time into creating a network on LinkedIn—especially if you are in a field where you anticipate working with recruiters. According to Forbes, networking is the number one way to get a job. Networking is even more important for an expat returning to work. People who know you will be able to vouch for you and your past performance. Ensure that those people know you are returning to the job market and will be looking for work. Sending out hundreds of resumes, especially if you have a gap in your resume, is much less likely to yield an interview. Maintaining professional connections while overseas is a challenge but definitely more than worth it when it comes to reentering the workforce. 7. Think about your salary expectations. By this stage, you probably know how much your potential positions pay. Some people have probably told you that you should be ready for a pay cut if you’ve been out of the workforce for a few years or more. For some fields, this is definitely true, but it doesn’t always have to be the case. There are a few options you can consider if taking a pay cut from what you made prior to moving overseas doesn’t sit well with you. Option A: Look at smaller companies that may value your experience of having lived overseas. Working for a big company will probably (not always) mean a pay cut, but working for a smaller company that does not get as many applicants and focuses particularly on a market that you have experience with could be to your advantage. Option B: Consider working for yourself either in the field you worked in before or in something completely different. Depending on your field, you may be able to work as a consultant or start your own company. You have control of your situation, and this can be an especially great option if you plan to move frequently. Work can be done over the phone and online, so you can manage clients in multiple countries regardless of where you live. If you’ve walked through these seven steps, you should be in a better position to begin your job search in earnest. For those of you who are reading this article prior to going overseas or still have a few years until you will be reentering the workforce, I have a few additional tips from people who have been in your shoes. The best place to mention the reason there is a hole in your resume is in your cover letter. Keep working, if you can. If there is any way for you to keep working, even if it is part-time, do it. If you can’t do that, consider working for yourself and starting your own business that you can operate while you are overseas. And, as I already mentioned, don’t pass up the opportunity to transform your current position into a telework opportunity, unless you really hate what you are doing. Keep improving yourself. Study a language, take online classes or continue using the skills related to your profession in a volunteer capacity. (See, for example, U.S. News & World Report’s “Best Online Programs,” or check out EFM Laurie Pickard’s website, No Pay MBA, for ideas on how to take classes for free.) Remember the fictional woman who donated her time as a cook at an orphanage? If she’s a chef by profession, that’s perfect. If she is in marketing, she should try to volunteer her time by designing a website or brochure for the orphanage or perhaps helping with a fundraising event. The skills she employs or learns through this work are more applicable to her future in marketing. Stay connected to your profession. Don’t fall out of touch with your field by losing contact with your colleagues. Stay connected as well as you can. Also, consider joining a professional association in your field and read journals related to your field to keep up-to-date on new developments. For example, if you are a lawyer and you know you will not be practicing law while overseas, join the American Bar Association and read their monthly journal. That way, when you are ready to go back to work you won’t feel as if you’ve missed out on the last couple of years. Don’t let licenses or certifications lapse. When you are overseas, it’s a challenge to figure out how to meet all the requirements to maintain licenses or certifications you may have. It’s worth it to figure this out. Maintaining a license while you are overseas puts you in a much better position to jump back into your field when you return. Being an expat spouse is hard, awesome, frustrating and incomparable to anything else—sometimes all at the same time. Most all of us emerge from this experience stronger and more understanding people. Don’t hide that when you are ready to go back to work. You’ve got something incredibly valuable to offer to any field. 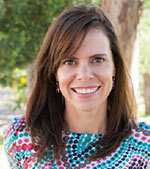 Anna Sparks is a career coach and Foreign Service family member who helps expats find the job of their dreams. She’s lived in six countries in the last 15 years and worked in all of them. Sparks currently lives in Quito, Ecuador.